Welcome to Booklifenow.com, a site that serves as support for and a supplement to my new book Booklife: Strategies and Survival Tips for the 21st-Century Writer. My book is somewhat unique: a manual that’s about how to be a writer in our new media age, but with the spotlight on sustainable creativity and sustainable careers rather than on new media tools, although tools are an integral part of the discussion. Booklife integrates discussion of the topics traditional to such manuals with how the landscape has changed as a result of the innovations of the electronic age. Although many of these changes are wonderful, it isn’t a uniformly positive development—new media can fragment you, disrupt your ability to be creative, and make you pursue tactical goals that don’t support your overall career. It also may be hard to determine how to be an effective advocate for your book without sacrificing what’s most important: your personal joy stemming from the creative impulse, your intimate relationship with your writing. This blog will provide a sometimes brash, sometimes clinical exploration of these issues—posting excerpts from Booklife, expanding on material from the book, soliciting the opinions of other experts, and in general providing you as a beginning or intermediate writer with a resource for good advice for your Private and Public Booklife. (Even advanced writers may benefit from the content.) My goal is to never post any content that I don’t think is genuine, honest, and of use. Helping me in this regard will be my friend the creative consultant Matt Staggs, whose ideas are an integral part of the book. What, specifically, can you expect from Booklifenow.com between now and the end of the year? -New content every Monday, Wednesday, and Friday, some excerpted from Booklife and some original to the site. For this special opening week, though–content every day! As I write in Booklife, no one ever achieves all of their goals–I keep the photo above as an amusing reminder of that fact–but striving to do the best possible job is half the battle. I hope you’ll join us on this journey, and contribute to the conversation. And, as part of getting know our audience, I’d love it if you’d take the time to comment and tell me a little bit about who you are and what career or creativity issues related to writing are most on your mind at the moment. This entry was posted in BLN Classics and tagged authors, booklife, Building Your Booklife, creativity, new media, writing life. Bookmark the permalink. Lookin' good, site and peeps! My current creative interest/concern is balancing different voices or viewpoints to create a balanced novel, and how to keep your focus tight on an area of a story you might not be as interested in. Career-wise, I'm just sitting back to watch and learn, given my status as meagerly-published writer. Wow. I had no idea this was happening, or had been written/blogified/etc. What a fantastic idea, and hopefully a righteously useful little book. I think this will be a great boon to almost anyone writing or starting to write in this high-strung age of shattered schedules and interrupted thought trains. As an illustrator rather than a writer, most writing books can apply to my career quite easily… or can be so far afield from what visual artists need to hear, that they might as well be discussing repair of a VTOL jet. And I know my wife will get a blanket of use out of this no matter what it does for me. And glory, that has to be the best typographic treatement I've seen in a title in a long time. Good luck, you two. Looking forward to the site. I gotta echo Ann: great photo! I should note Booklife's title typography was created by the awesome John Coulthart. Hi, Jeff. Reading the book now, about 60 pages in. Love the strategic approach. It's great to see a writing book that doesn't cover the same old ground. (You know, "Outline or wing it? ", that sort of thing.) I like that it's not overly prescriptive, too. Looking forward to getting my hands on a copy. Congratulations on its release. Read "Booklife" and loved it, already using ideas from the book to help in my busy life and it's working so far! Looking forward to see what's on the site. 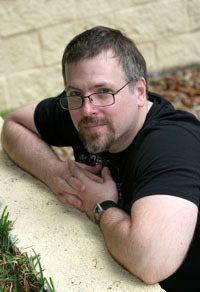 Also I'll be interviewing the great Jeff Vandermeer for BookBanter at the World Fantasy Convention and that interview will be showing up on BookBanter in a couple of months. Check out the BookBanter site for more info and check out Booklife the book, it was really great! Congratulations! I'm hoping to pick up some tips about how to get into the book reviewing world (other than just my blog, with a fairly limited audience); how to read for money, so to speak. Tall order, I know. More than that, I'm hoping this kicks me in the pants to work harder on my short stories and on my memoir of my marriage to a con artist (my short-lived first marriage, that is, not my wonderful marriage to my sweet, loving, wonderful, brilliant husband who, to sum it up, is often all that keeps me alive). Fred (said husband) is very good with writing prompts and keeping my pants applied to my chair, but I need something more — and I think this might be it. Thanks for the comments so far. Happy to see that the book has already started to be of use! Part of the point of this site, too, will be to test the book, soliciting your opinions on how well the various chapters have worked. I look forward to visiting often. I'll be adding Booklife to my wish list immediately. Thanks for doing this. Really looking forward to my copy making it alive through South African customs. Congratulations on the launch of the book, Jeff! I'm reading it now, and really enjoying it, just flying through the text. I'm honored to have been included in the project. I've watched you for twenty years *live* what's included in this book, so I can attest to its sincerity and validity. I know it's going to be a tremendous help to writers and artists of all kinds. My brother Steve is an artist, and I'm fairly sure he's going to find a good deal of this material relevant to his world as well. Cool site and cool contents and congratulations on the launch! A good launch, and an intelligent complement to the book itself. Congratulations! Jeff, I would like to say a word about the one negative review of Booklife that I've read. I'm a fan of Jessa Crispin and many of the books she recommends are right up my alley, but when she says Booklife "made her uneasy" and has questionable priorites, it occurs to me that virtually every book Crispin likes has already been through the "networking" and "ego-feeding" processes that she apparently finds distasteful. The difference is, in many cases, those authors have people in the trenches to do the legwork and nurturing for them. 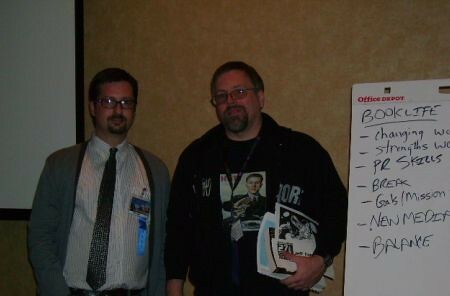 Jeff, I believe you wrote Booklife for authors who must "switch hats" from artist to publicist to merchant without loosing foucus. Anyone who has read your fiction knows that creativity and skill are first and foremost. I'm finding Booklife to be quite solid and helpful. Bill: I was bothered by it because it seemed to insinuate that I was being dishonest in the book. But I've since asked Jessa if I can interview her for this site, and she accepted. That'll run sometime in November or December, but it'll go into more detail about her views on writing, creativity, and careers. I do plan in the second edition to reference that "non review" as she called it, in the context of double and triple making sure that readers understand why I'm offering up the information in the Public Booklife section. I'm pretty excited about this site; probably not as excited as you. Congratulations! Just got my book; I love the idea of additional content on the web! Quinden–Thanks. Much of what we post at first will be taken from Booklife, updated somewhat, but there will be new content, too. And that'll just continue to rise–the ratio of new to excerpts. Looks great, looking forward to seeing what unfolds on this site! Jeff, thanks for making this website. I'm not sure if Booklife is for me, so I checked out the site to get an idea of the content. I read your ED blog (Ecstatic Days, not Erectile Dysfuction) regularly, and it led me here. I'm trying to learn the business side of writing, while keeping in mind that my main task is to write the best stories I am able. I appreciate your giving back to the writing community by sharing the lessons you've learned in this art/business hybrid monster. Hey–thanks for that. It sounds like you've got the right attitude. One reason booklifenow is important is to reinforce that idea of focusing on your Private Booklife even as you learn more about how to harness new media, etc. I wouldn't want anyone to take the Public Booklife sections as a license to mortgage their souls. This sounds great – looking forward to reading. Jeff, thanks for providing this site – it looks like an invaluable resource, especially at this point in my life. I'm a lifelong writer of fiction, poetry, children's lit and creative non-fiction, but my only publications have been during a couple of years after college as a print journalist, and more recent freelance articles. I may soon be without a day job, and am trying to look on this sudden change as a golden opportunity to finally approach publication attempts for my creative writing in a disciplined, organized fashion. …It may sound like a pretty obvious approach, but it's a bit scary and new in my world. So, as I said, your site sounds fantastic, and I'm looking forward to frequent visits. Thanks. Hey, you two. Sounds like definite transitions and if Booklife is of any use, let me know! thanks for commenting. I just ordered Booklife. The site looks great. I'm a student and tech writer and part-time poet and prose writer in my spare time. I learned about your work when I read the 2nd edition of "City of Saints and Madmen" (in 2003?) and then emailed you after I decrypted "The Man Who Had No Eyes" and thought I'd found some errors. "The Thackery T Lambshead Pocket Guide to Eccentric & Discredited Diseases" is one of my favorite books, and I just finished "Shriek: An Afterword," and was blown away. Thanks for all your writing and writerly help! Hey, Mark–I remember the decryption thing. Thanks again re that. I hope you like Booklife. Of course, the last Ambergris novel is now out–Finch. Hope you enjoy it. Congrats on the launch. I’ve been reading and re-reading Booklife, and it really helps with pulling problems and strategies into focus. Looking forward to watching the site develop. Looks great! i'm looking forward to this. Looks interesting, indeed! I'm juggling writing with a full time job that I don't want to quit, but still hunting for the perfect balance. Thanks for putting out "Booklife"–I've read a few random pages, and can already see what a help it will be for a first-time author. I told my publicist to get a blurb from Dr. Phil…is that as bad as putting Oprah on my author questionnaire? Are people laughing at my naivety? Wish I had read "Booklife" first! Take care. I read about BOOKLIFE over at The Swivet and ordered my copy the same day. I'm now half-way through. Thank you so much for the glimpse into your own writing life. As someone who is also now writing full-time, it was especially timely for me to read about your transition and how you've scheduled (and reset) your time. I'm looking forward to reading through your recommended reading list. I'm currently reading Booklife, and I have to say, it is probably the most helpful book I've come across as a toddler author. Look forward to the rest of the book and this site as well. Great to meet you at the Press Club reading in Portland, Jeff. I'm enjoying BOOKLIFE, too. I'm currently exploring the question of how someone who has long earned her living as a fulltime freelancer by writing one kind of book can develop a secondary or alternate writing identity. BOOKLIFE has already given me some ideas. Thanks! OMG!!! You site is PR3!!! How you have achieved it? It's 6:50 am and I've been up for an hour with BookLife on the desk in front of me, writing out goals and a mission statement. I'm *delighted* with the book. Its excitement and energy are contagious, and I get a terrific can-do rush from realizing (d'oh) that I can actually apply the tactics I use at my day job to my writing life. Thank you thank you! Booklife is a major gift to the writing world. I haven't finished it yet, but have been nodding all the way–this is stuff I talk about constantly to NAIWE members. It sounds as if you plan exactly as I do, and it's a method that really works. I'll be recommending this very highly. Your discussion of channels and white noise/dark noise was interesting, and it emphasizes the importance of controlling channels for the sake of your private booklife. I thought I was probably the only one who found the presence of another person a tremendous distraction, even when they were being quiet and minding their own business.Now I don't feel quite so curmudgeonly about my need for solitude! Thanks–it's a book that needed to be written. This may be the most useful book for writers I have ever read. You read the book, do what it says, and you are incrementally further forward. Repeat, repeat, repeat. Thanks for writing it. From the look of the book, you cover everything that someone like me needs to know.